The countdown is on until the launch of Holiday House London. The first instalment of the Holiday House Designer Show House outside of the US opens on Wednesday 8th November. 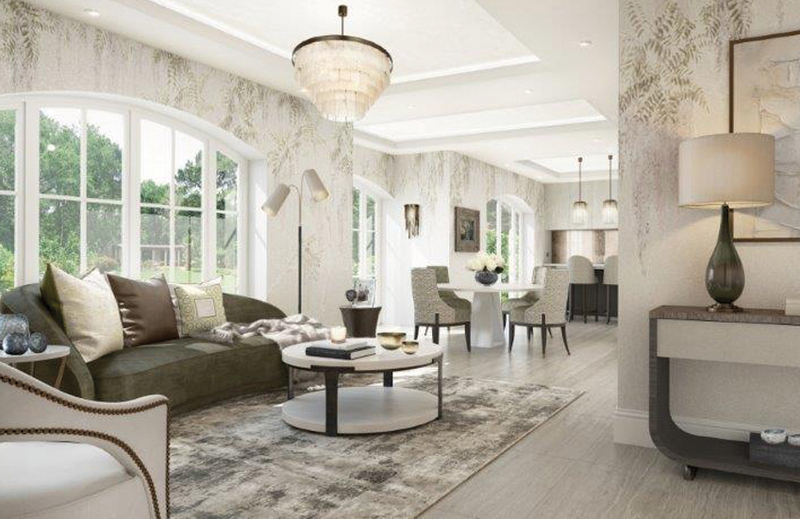 Like the New York and Hamptons chapters, the month-long event – held in two adjacent townhouses in London’s prestigious St John’s Wood area – features the room designs of top interior creatives and will benefit the Breast Cancer Research Foundation. Enjoy a sneak peek into the Houses and hear what the main ladies have to say about their new home. The Holiday House London executive team – from left to right, Iris Dankner, Joyce Misrahi and Rachel Laxer. Q: What does it meant to you, Iris, to have Holiday House go international? Iris Dankner: Having Holiday House go international is a dream come true. Ten years ago, when I had the dream of creating Holiday House, never in my wildest dream did I ever think it would expand internationally. My dream has become a reality PLUS! Q: What are you most excited for Holiday House London? Rachel Laxer: Aside from seeing the dining room come together in such a short period of time, I’m truly excited to see this dream we had 4 years ago become a reality. 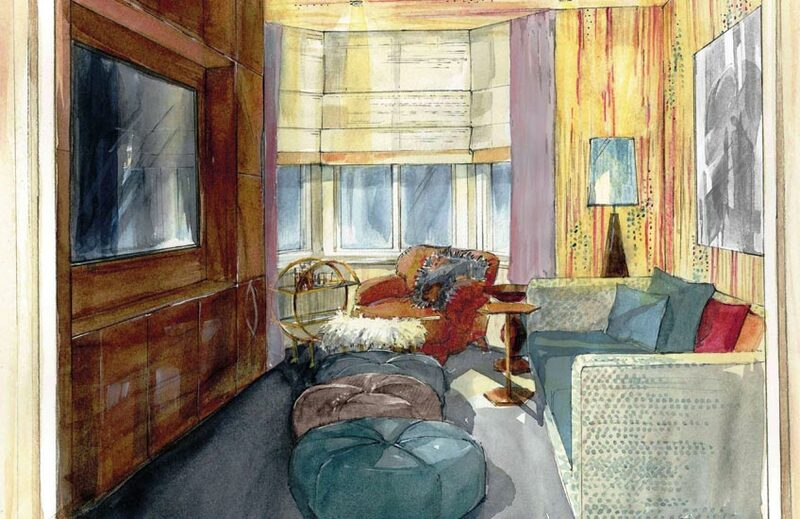 When I did my first room in NYC, [I] joked with Iris about bringing this idea to London. I can’t believe it is happening so this is truly the most exciting! Natalia Miyar x LuxDeco is already an editor’s favourite. Q: How has the reception of Holiday House London been? Joyce Misrahi: It is amazing how people are reacting to the concept. Creating a Design Show House is such a new idea in London [that] I think everyone is excited to see it come together. Q: How does Holiday House London differ from the other HH incarnations? ID: Holiday House London does not differ from the other Holiday Houses of the past 10 years. It was important to me for it to stay on brand and continue with a format that has been successful. RL: As this is the first one in London we have be able to try out new ideas such as the auction (amazing prizes!). [The] pop-up shoppable show house means the more people buy, the more money we raise to fund research in the UK. Also, meeting the researchers from Royal Marsden and University of Cambridge so we can better understand how we can do our small part in helping fight breast cancer has been truly inspiring. Pretty in pink. 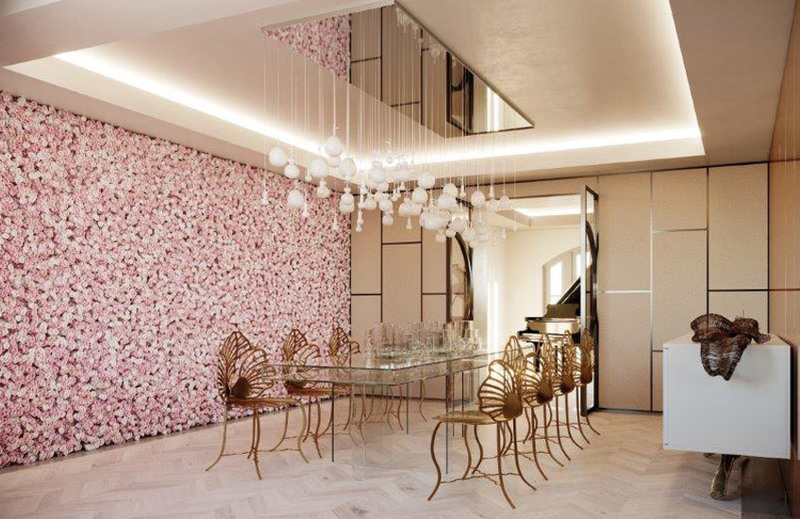 The dining room design by IGGI. Q: Why did you decide on the House’s St John’s Wood location? RL: We were so lucky to be given this opportunity to work in these amazing houses, the location is central and easy to access from lots of different points in London. JM: We had a few options but the idea of having 2 houses on Hamilton Terrace was the game changer. Q: Can you reveal any exciting secrets about the upcoming house? RL: There are so, so many surprises throughout the month – I recommend buying a multi-pass [so] as not to miss out on all the events! Sophie Paterson’s signature style elevates the kitchen area. Q: Which style direction have the designers gone in? Is it a particularly London style? ID: Most designers have gone above and beyond to be the most creative. Some have gone more traditional but most seem to have put a new modern spin on British design. Q: What are some highlights visitors should have on their must-see list? JM: To be able to walk through a house with 25 designers showcasing their works and amazing products is the highlight. The opportunity to experience this much talent in one venue is priceless. 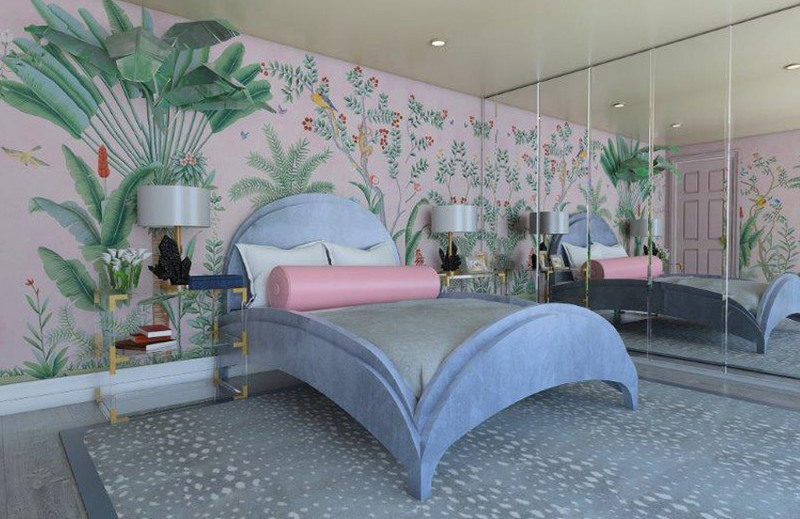 A tropical-inspired bedroom by Amelia Carter. Q: In three words, how would you describe the Holiday House vision and why? ID: Creative, hopeful and promising. Holiday House gives the design community an opportunity to show their creativity and best design work; it gives survivors hope that we are all working together to find a cure; [and it] gives people promise that one day we will live in a world without breast cancer. Q: How do you envision Holiday House expanding in the future? RL: I am focused on the one one being amazing. There is so much going on with all the designers and events – it is a must see. JM: HHL is a new concept in London with so much potential. ID: Nothing is set in stone as of yet but I am looking forward to the success of the first Holiday House London and then to expanding the concept to new locations to continue to raise awareness and funds. Holiday House London. 59 & 61 Hamilton Terrace, London NW8 9RG. Wed 8th November – Sun 10th December 2017. To visit and support the fight against breast cancer, tickets can be purchased here. General admission £20; students £12.